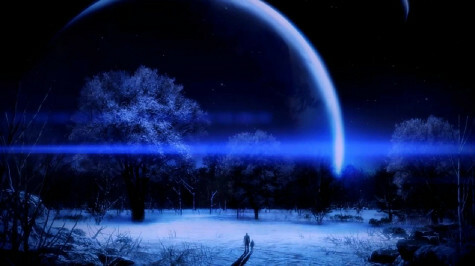 NOTE: THIS ARTICLE DISCUSSES THE ENDING AND EVENTS OF MASS EFFECT 3. DO NOT READ IF YOU DO NOT WISH THE GAME TO BE SPOILED FOR YOU. In this day and age, one learns to take internet outrage with a heavy dollop of salt. The videogame community tends to be reactionary in the worst way, for a few reasons: they tend to be young, they tend to express their immediate feelings almost as a stream of consciousness, and let’s face it, the Greater Internet Dickwad Theory comes into play as well. When it comes to game endings, when I hear that the community is upset about a game’s ending, I almost always take that as a good sign that the ending is daring and provocative. For example, there was an outcry over the abruptness of the ending of Halo 2, which had the nerve to conclude with a cliffhanger. The 2009 Prince of Persia reboot ended with the player undoing all of the work to free an ancient evil god they’d just imprisoned. So when I heard that there was a growing outcry about the endings of Mass Effect 3, my interest peaked, because invariably, that meant the story was provocative and daring, instead of predictable and boring. In the case of Prince of Persia, players felt annoyed that The Prince would undo all the effort the player had spent hours working on in the game – but in the context of the story, it made perfect sense and was powerful in its execution. His faithful companion (and possible love interest) Elika sacrificed all of her life force to contain the evil god Ahriman. The game actually had you carry her lifeless body to the altar during the end credits. 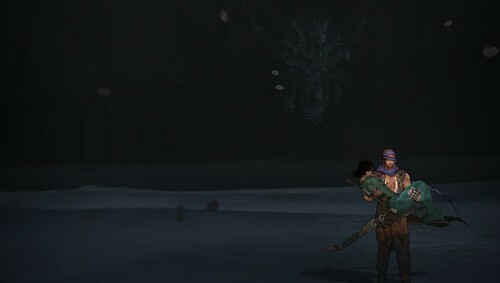 After he placed her body down, the game gave you the opportunity to just turn the game off – or, you could keep playing, and sever the trees of life on the nearby landscape. When you did, Elika was restored to life, moaned, “Why? !”, as the Prince carried her off as the darkness surrounded them as Ahriman was freed. The Prince of Persia comparison is an apt one, because Mass Effect 3’s ending also negated all of the effort the player put into the game, save the abstract “Galactic Readiness” level that determined if the ending was disastrous or merely inconclusive. The chief difference between the two, however, is the fact that Prince of Persia’s ending worked within the context of the game. Mass Effect 3 was basically so far out of left field, it felt rushed and contrived. 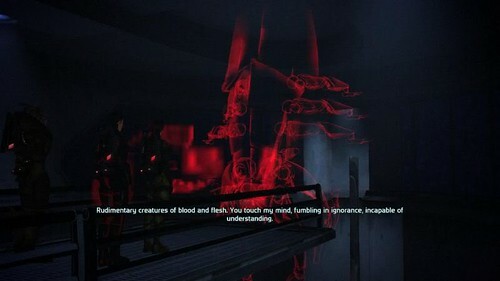 For those of you who aren’t familiar with the endings, Shepard is given three choices – destroy the Reapers, but in the process, all AI machines along with it, or merge with the Reapers and have them simply fly away, but in the process sacrifice his own life, or merge all organic life with synthetic life. In every case, the Normandy crash lands on a mysterious verdant planet. The “Galactic Readiness” determined how bad the decision would be – a low score would have the Earth destroyed in one ending. The Synthesis Ending did cause coos of delight from fan fic writers. The chief problem with the endings aren’t the content. Unto themselves, with no context, they’re perfectly valid endings. Gamers have a problem with them not because of the content itself, it’s the fact that they seem completely and utterly arbitrary, with no consideration for anything that had gone on before. In short, nothing the players did meant anything. Crazy endings aren’t bad at all, when done right. Anyone who’s played the Silent Hill games can attest to that. The Dog Ending to the second game basically scotched all of the events that had gone on in the game, showing that a Japanese akita dog had been behind it all, as a canine mastermind operating a command center controlling all of the events in the game. It was funny, hysterical, and brilliant, and widely accepted as an ending. So why did the Mass Effect 3 endings fail? The game was building up to something that never happened. Before the endings, the player had to make clever moves or suffer some hard choices. They had to negotiate a peace between the Krogan and the Turians while mollifying the Salarians. They had to somehow get the Geth and the Quarians to work together, or have one race utterly wiped out. The decisions from the previous two games reared their heads. Did the player save the Rachni Queen? Did the player save Maleon’s research? Mass Effect 3 had some of the most haunting moments not only in the series, but in science fiction itself. No player will ever forget Mordin’s final, sacrificial moments curing the insidious Krogan genophage, singing to himself “I am the very model of a Salarian scientist” as the tower exploded all around him. 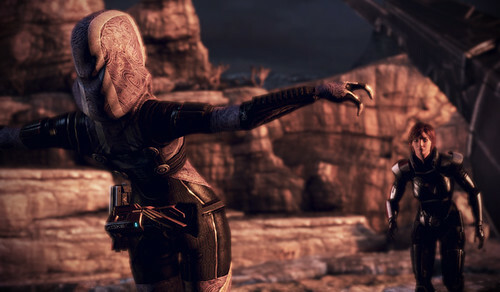 If the player failed to negotiate a peace between the Geth and the Quarians, it ended with beautiful tragedy – and regardless of the player’s choice, it had Legion asking shortly before it died whether it had a soul. One decision will devastatingly result in Tali commiting a tearful suicide. Even the romance between Joker and EDI, which could have come off as incredibly idiotic, was sweetly done, as EDI began to experience what it really was to be sentient and emotional. It is this emotional investment into all of the characters that made the endings such a betrayal to gamers. But not for the reasons they think. The real reason the endings that were given in Mass Effect 3 were such an insult to players is that everything they’d done to that point – and that includes the first two games – were meaningless. All of the choices given to players to that point had shown a cause-and-effect, and at the very end, all of that was ignored. In short, the only thing that mattered was the Galactic Readiness meter, and that could be raised to 100% without doing a single thing in single player, since the multiplayer raised the meter alone. There was no connect between the campaign and the ending. To really contrast this decision, one only need look at Mass Effect 2, which set a template players were expecting in 3. 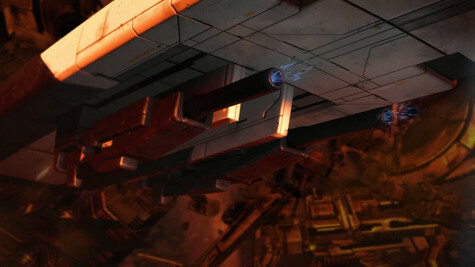 If the player failed to upgrade their main weapon to the Thannix cannon in the second game, a crew member died. If a player chose the wrong person to lead the second team or provide the biotic bubble, a crew member died. If the player didn’t go on a crew member’s loyalty mission, they potentially could die. Preparation and consequences. Thannix cannon – don’t leave spacedock without it. None of that is in Mass Effect 3. Prevent Samara from killing herself and gain an elite Asari commando squad? It was meaningless except for a number that moved you closer to 100% Galactic Readiness. Gain an alliance with the Krogan and the Turians? Just a number. Treat Kalishah al-Jilani nicely and encourage her to keep supporting Earth? Just a number. Players were expecting their decisions to matter. They wanted to see the Turians fighting, and living or dying depending on how prepared the galaxy was. They wanted to see Jack and her young biotics helping out or dying, depending on the player’s decisions. A player who took their time in the single player campaign, doing most of the sidequests, gaining support, wanted to see the fruits of their labor. Help Aria and get a trio of major mercenary squads on your side? Who wouldn’t want to see a horde of Vorcha and mechs descending on the husks? When you managed to wrangle up a huge fleet of ships from multiple races for what one of your squadmates said in awe was the biggest fleet ever in the history of the galaxy, you got one brief shot of it. That’s it. Worse, the endings were a betrayal of the entire theme of the series. The Prothean you managed to save, Javik, near the end of the game talked about how the Prothean Empire, which turned out to be an oppressive militaristic force that basically told all of the races it encountered, “Be our slaves, or else”, couldn’t defeat the Reapers, while an alliance of races working together was more efficient. That was the secret heart of the Mass Effect series. The endings simply dumped all over that concept. The other problem was the way the endings handled the Reapers. In the first game, the Reapers were mysterious, otherworldly, and a palpable Lovecraftian threat. Basically, they were Elder Gods. When Sovereign boasted in the first game, “You exist because we allow it, and you will end because we demand it” in its deep, metallic voice, that was the point that players realized that the scope of the game had just widened in front of them. It wasn’t about a human-hating Spectre with an army of robot slaves destroying human colonies. It was about the end of life in the galaxy as we know it. The Reapers at their most threatening. H.P. couldn’t have written it better himself. In the third game, the Reapers actually invaded, and they lived up to expectations – unstoppable in force, and peeling away the Earth like an onion. They perverted organic life forms into nightmarish constructs, such as the Banshees. At the end of the game, however, they’re tools. Nothing more than tools that are conveniently brushed away at one beings whim. Drew Karpyshyn stated that his endings were different, in that they were cleaning the galaxy of life to save it from Dark Energy, so the choice the player would have would be to either allow the races to be eaten or to destroy the Reapers and deal with extermination by the energy. Again, that would have the same problems as the endings as they are, if not in a worse fashion. Once again, the Reapers are basically playthings, and in his scenarios, the choice is Apocalypse A or Apocalypse B, and the player never gets to see the fruits of their labor. First off, leave the Reapers be. Just make them forces of nature, as they were portrayed in the previous two games. Hungry godlike machines that do three things: sleep, eat, reproduce. That’s it. No explanation of where they came from. No explanation of their motives. Let them be a mystery; as Voltaire once said, the secret to being boring is to tell everything. The Reapers were at their best when they were godlike boogeymen. Let fans speculate – that’s what they enjoy doing. Secondly, let the war play out. Separate the Galactic Readiness from the value of the forces Shepard raised. The quality and number of forces that are required to defeat the Reapers will be in the allies Shepard has rallied to his cause. You should be able to see them fighting, dying and winning or losing their battle. The Galactic Readiness would only determine how ready each force is. For example, if there are tons of Asari forces but their Readiness is low, they’ll suffer heavy losses but still win a Pyrrhic victory. In there are less Asari forces but the Readiness is high, they’ll win, with their small forces more battle-hardened – however, the Asari will still suffer heavy losses since there’s only a few. A high number of forces and Readiness is high, they’ll wipe out the Reapers in their sector and remain powerful and strong. Low on both counts, the Asari are extinct, akin to losing a crew member in Mass Effect 2. Everything should play out – it doesn’t matter how long the cutscenes play. This is the final chapter of the Shepard trilogy. Alliances, betrayals, victories, defeats, let it all play out. If BioWare has to keep the Crucible, maybe if the army Shepard raises is strong enough to destroy the Reapers, Shepard can essentially tell the childlike being what to go do with itself. If they can’t, Shepard can choose to sacrifice himself, similar to what he did in the worst case scenario of Mass Effect 2. Of course, the player would have choices during the end game that could affect the game. The Crucible could be treated as a weapon of last resort that will destroy almost all life, much like the rings in Halo. 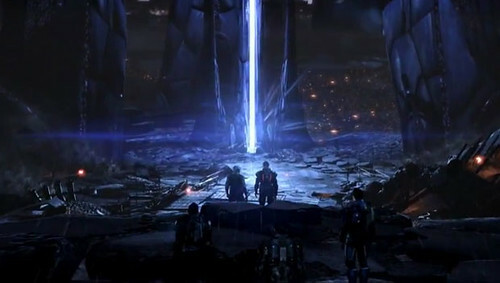 A boss fight against the leader of the Reapers would also allow players something to do – in order for any sort of victory, the leader of the Reapers would have to be destroyed; perhaps it resurrects Reapers, which could be shown in one mission where it brings back to life the dead Reaper from the second game. It would also be a good point for Shepard’s Paragon/Renegade option to begin. 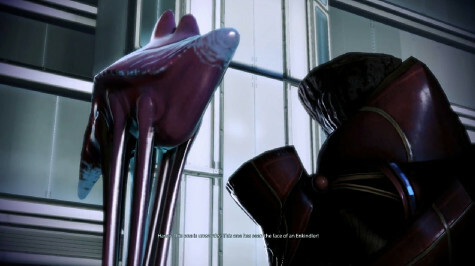 He could either destroy the wounded Reaper, ensuring that the Reapers never threaten again, but lose something in the process, or he could reach an agreement with the leader, banishing it from the galaxy in exchange for Reaper tech that would keep EDI and the Geth (if they’re still around) sentient. That would be something a Paragon would definitely do. As with Dragon Age: Origins, an epilogue would give Shepard, who is now the Human Councilor (since Udina’s dead and Anderson doesn’t want it), the ability to change the galaxy one last time, and be given some final choices. For example, he could decree Humans run the Council themselves, retain the status quo, or finally give other races a seat on the Council (which would be a wonderful middle finger and olive branch at the same time to Din Korlack), including, of all things, the Geth. This final scene caused tooth decay and cavities in young children. Finally, without having an inside sources, it seems to me that Mass Effect 3 was rushed to conclusion, that someone set March 6 as a hard release date after the game had been delayed for a few months. The evidence that I have is that much of what Casey Hudson and other BioWare personnel had teased about the game never materialized. The romantic conflicts were relatively mute. The “amazing, definitive” ending never showed up, instead having three definitely non-definitive endings. Hudson cautioning players take their time to finish side quests became irrelevant. There is an unfortunate similarity between Mass Effect 3 and Knights of the Old Republic II in that both games seemed to run out of time and endings were hastily put together, with subplots discarded. There are two probable factors in this rush. First, Electronic Arts. As much as the publisher has remained hands-off with BioWare, there had to be some pressure to release the game as soon as possible. And secondly, Star Wars: The Old Republic. There is no way BioWare could have undertaken such a massive project without draining manpower from Mass Effect 3. Again, I have no proof this was the case, but I strongly suspect it was so. Most fans of the series would probably have happily waited to, say, November 2012 for a full experience, if true. I have skipped the article and saved it for later. Thanks, I warned you about spoiling the ending and you put it on the front page. Anyway, I hope that I will be able to finish it soon because I can’t bear missing out on all the controversy going on about the ending. Ok, I have finally finished Mass Effect 3 and I’m here to talk about my opinion. To be honest, I wasn’t angry at all at any of the endings. I think the fact that nothing mattered in the end is really the point. The Reapers could never be stopped, not even the mighty Protheans could. No number of alliances will change the fact that the Reapers are unbeatable. I’m happy with completing all the sidequests and rallying as many fleets as I could because in the shoes of Shepard, I did the best I could. Shepard could never have known the outcome, and neither can we. So we prepared as much as we could, even though it didn’t matter in the end. I don’t need a satisfying ending to play out, and I would just have accepted it if the Reapers had actually killed everyone in the end. I think that this entitlement to a satisfying ending comes from all the books, movies, games and whatever else always end with the hero winning. We can’t expect that. 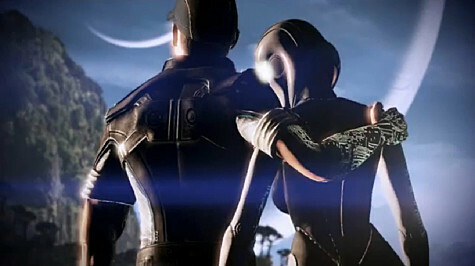 Everyone in the Mass Effect universe knew that they were probably fighting for nothing, even if they did have hope. Maybe the different ending were a bit far-fetched, but it seems to be that this has been planned out for a long time. The only part that I felt was rushed was the 3 actual outcomes. Up to that point, I felt that all of the plot had been leading up to it. I don’t get what the fuss is all about, but I seem to be in the minority when I say that I have no problem with the Mass Effect 3 ending. Hope that you can reply and tell me what you think is wrong in my reasoning. Last of all, it is the journey that matters and not the destination. What really went wrong is that love scene between male Shep and Cortez. They kiss. That’s it. No tentacles or trips to the engine room or anything. Then they wake up next to each other after Shep’s final nightmare. What a disappointment. I should have listened to Liara and stuck to aliens. Momotarutaru on Episode 524: Goodbye, 2018!